We are extremely proud and honoured to have Frances Harcourt-Brown as our charity Patron. Frances Harcourt-Brown BVSc DipECZM (Small Mammal) FRCVS, RCVS Recognised specialist in Rabbit Medicine and Surgery (Liverpool 1973) deals mainly with rabbits. She is the author of the Textbook of Rabbit Medicine and regularly speaks to vets both in the UK and Internationally on rabbit medicine. 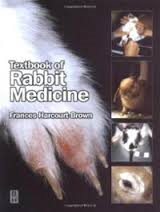 Both Frances and her husband Nigel Harcourt-Brown are Fellows of the Royal College of Veterinary Surgeons, due to clinical research theses in Avian Orthopaedics and Rabbit Dental disease respectively. They are also both recipients of the BSAVA Melton Award for meritorious contributions to small animal practice.